How do you change your connection key for FlashArray replication? The question misunderstands what the connection key actually is, so let me explain. 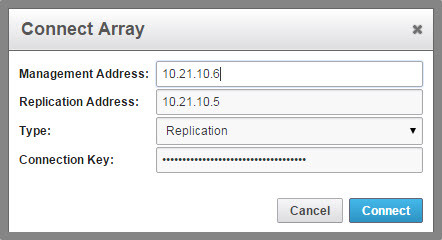 Entering the connection key during the initial connection provides a way to make sure the remote array authorizes the connection for replication. What if you want to change this connection key? There doesn’t seem to be a place to do it where the “get connection key” and “connect array” options are. Well, look back at that connection key, does it look familiar? 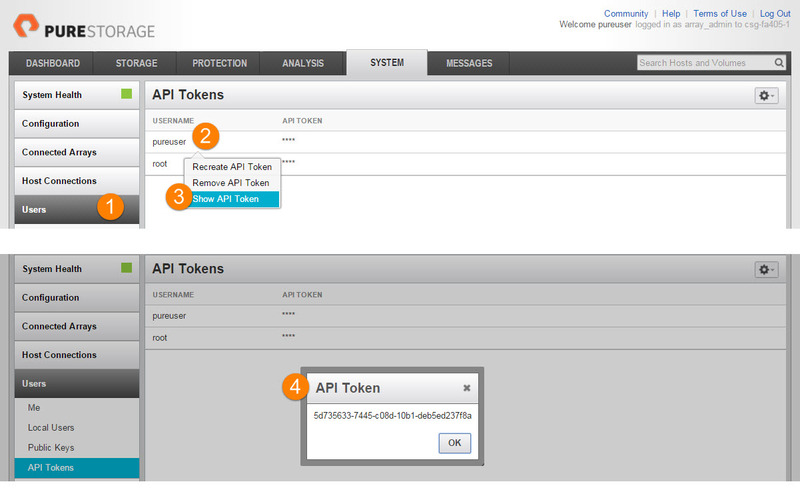 If you use our REST API, you might recognize it. It is a REST API token that is used as a part of our REST authentication. Those REST API keys are assigned on a user by user basis. So if you always log in as the same user the connection key will always be the same, unless you change your REST API token which you can do (see a few images down for where that can be done). 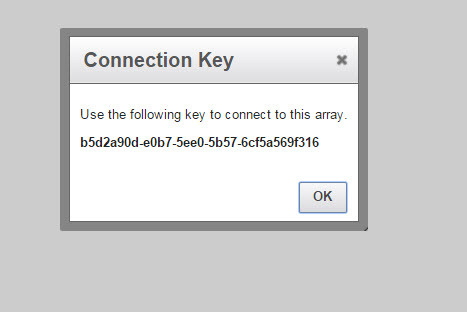 If I log in as a different user, one from my active directory named arrayadmin, I have a different connection key (because since I am a different user, I have a different API token and therefore a different key). If you change the API token that you used to create the FlashArray replication connection, the connection will not be severed–it only uses the token for the initial connection.